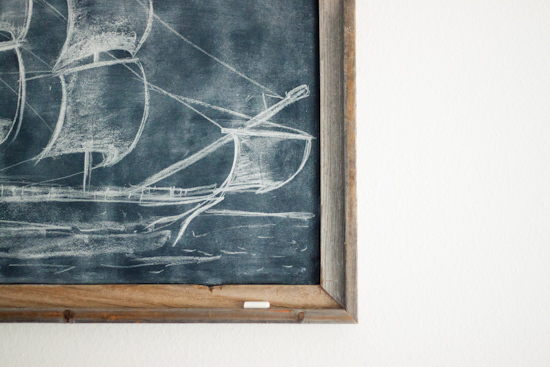 A while back I made THIS framed chalkboard to hang in my kitchen and I loved using it for little sketches or notes. 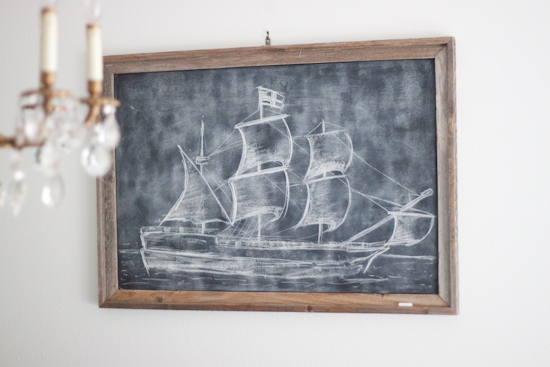 When we moved into our new house, I thought it would be fun to change things up a bit and have the chalkboard hang in the living/dining area so it could be used as more of an art piece. 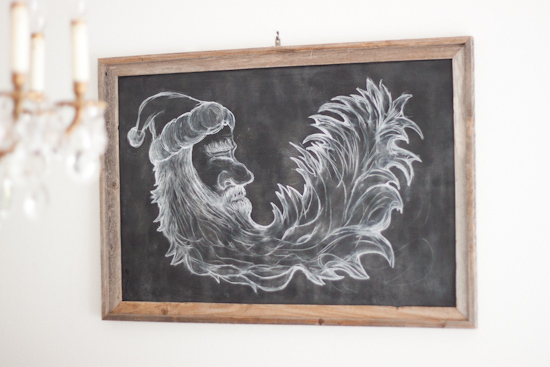 As we have ventured into the holiday season I have had so much fun using my chalkboard for holiday art! 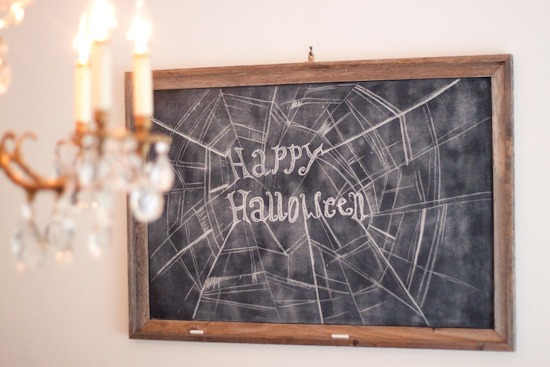 I don't have much shelving/display areas right now so creating sketches on my chalkboard has been a great way to include some holiday decor throughout our home! 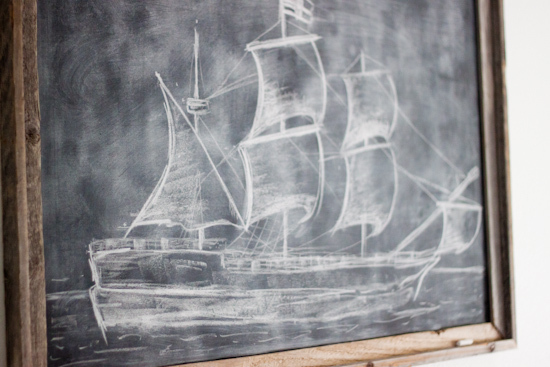 Thanksgiving - I decided I wasn't skilled enough to draw pilgrims or a turkey that didn't look cheesy, so I attempted to draw the Mayflower instead (I think most of our guests just thought it was a random boat, but oh well). With all the packing & painting we have been doing, I really haven't had time to decorate the house much for the holidays. But, we are officially done painting (for now) and I'm super excited to start decorating for Christmas! You two are artists! Thats a really fun idea. Keep the posts coming!! Wow, I'm impressed! I wish I could draw that well! 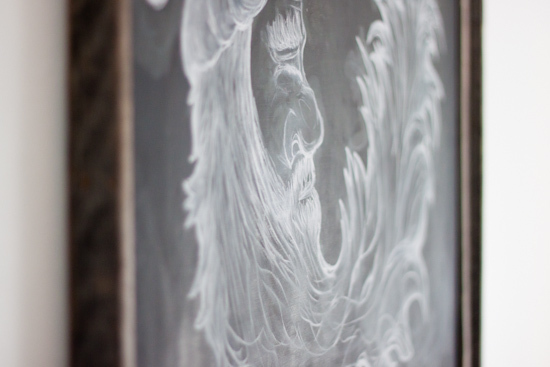 Chalkboard is also a difficult but an amazing and mesmerizing work if you get it done professionally. 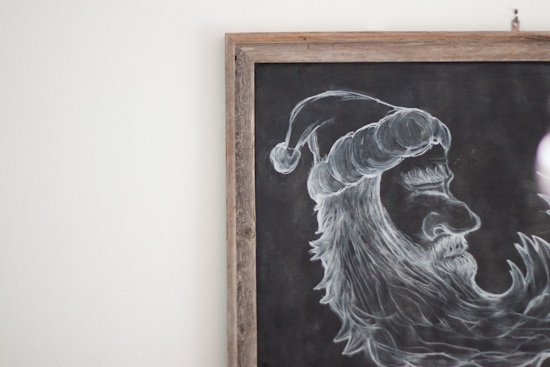 These drawings are brilliant and awesome especially the Ship and Christmas one.